Transporting the reader back to Southern England into the midst of the seventh century, THE BOOK OF SPELLS takes readers to the Kingdom of Vilgar, governed by a generous king in whose household an evil wizard has positioned himself.Convincing the king that his powers of magic and premonition will benefit the kingdom, Malecar becomes the court wizard, surreptitiously studying the dark arts in his quest to rule over the kingdom.When Martir, a kind and gentle wizard arrives, he is appointed Malecar’s apprentice and becomes a close friend and confidant of the king’s son, Audric.The forest bordering Vilgar is a refuge to three witches. The women are in possession of a book they cannot open. Dabbling in the dark arts so that they might protect themselves, they realize that the book may contain the darkest of spells.Confronted by Malecar, the sisters give him access to THE BOOK OF SPELLS, and the evil within him allows him to open it.What happens when an evil wizard has access to powers beyond his wildest desires? Or when a gentle wizard becomes his nemesis and the only protection for the Kingdom he serves? 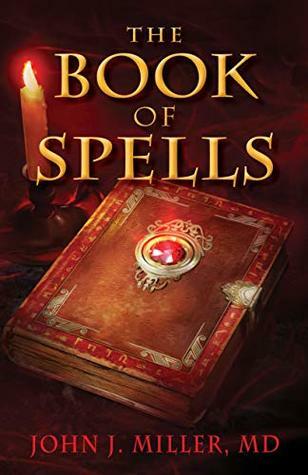 Working its magic on young and old alike, THE BOOK OF SPELLS will carry readers to a time and place where magic is the norm, where good and evil are at odds, and where maybe—just maybe—the gentle are stronger than they ever imagined they could be. Cassandra's Review- I think that the story was enjoyable because it takes you to a whole new place and drops you off for the start of an adventure. The Characters are written so that you can imagine them to be real which makes this a perfect read out loud book. I feel like it is not for younger children but a youth adult who enjoys fantasy would not be disappointed especially if they enjoy the older century realm.